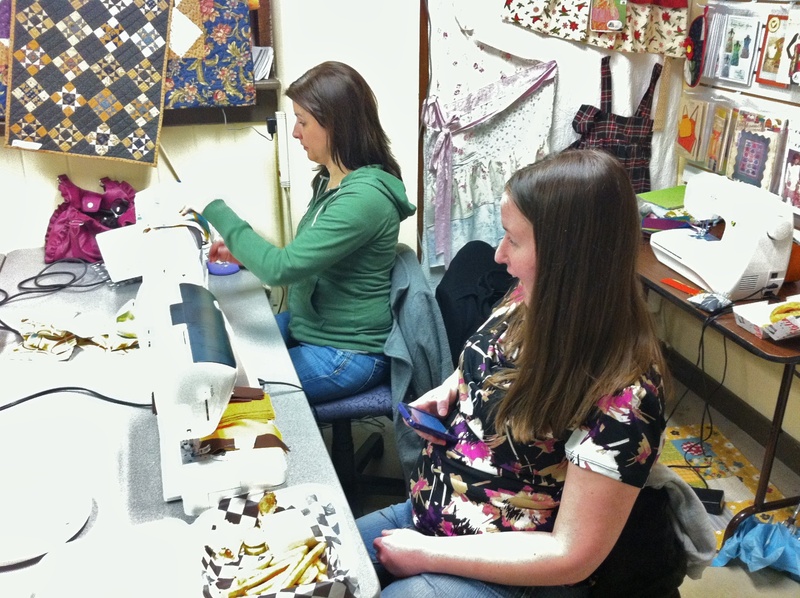 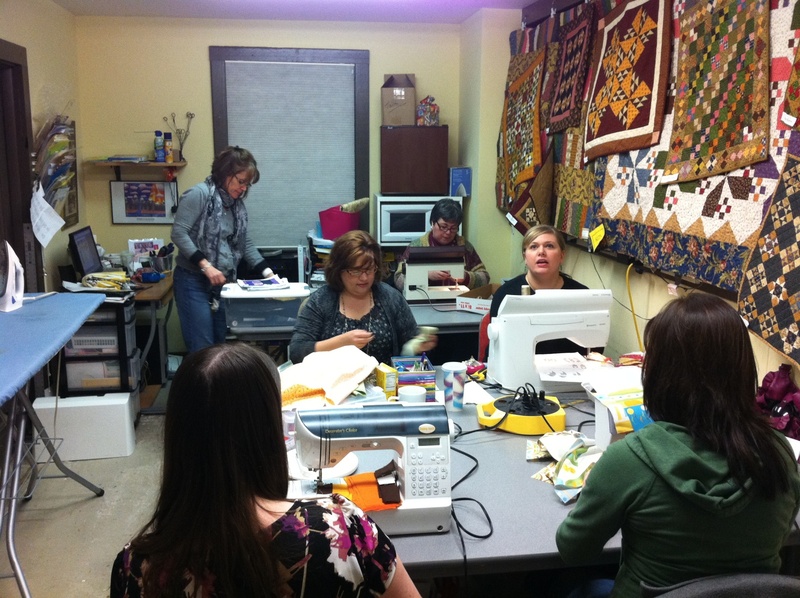 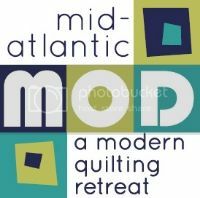 Last Friday the PMQG had another Shop Sewing Night, which was hosted by The Village Quilter, in Mt. 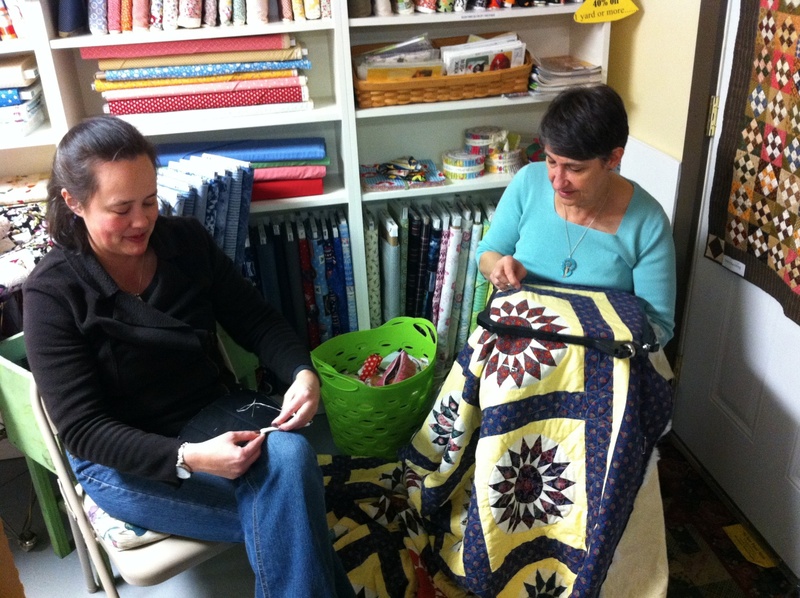 Holly, NJ. The shop owner, Susan DiBartolo, is a member of the guild and she is always so accommodating of our group! We had a great crew of 9 people there and we had a great time sewing, eating, and shopping. 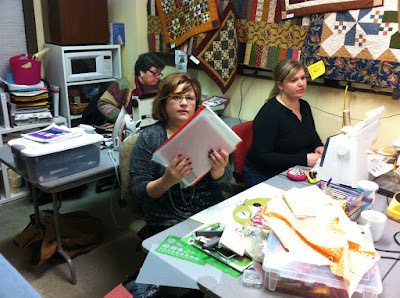 I only had time to snap a few photos because I didn't arrive until 7:20! Hope you can make it next time when we meet at Granny's Sewing Den in Glenside, PA.
March Swap... one week left!